Let your heart take flight and loose itself in the essence of pure romance. I Fancy You by celebrity, Jessica Simpson and Parlux Fragrances will make you fall in love over and over again in this luscious floral musk scent that I was sent for this review and giveaway. This fragrance is the fourth and final one in the Fancy line created by perfumer, Cécile Hua of MANE. Light and airy, I Fancy You whisks you away to a beautiful storybook garden with blooming lily of the valley, tuberose, and hyacinth for almost a whimsical feel. As you dream, you can’t help but notice the freshness of Fuji apples, ripe juicy pears and the citrus tang of bergamot in competition with those sweet flowers, lifting the fragrance as if it had wings. This perfume is a tale of discovering that first all-consuming love. You are giddy with happiness and romantic anticipation while your heart pounds with excitement. Due to the amber crystals, the fragrance becomes flirty, testing this new sense of feminine power as it subtly infuses into the mix. Like shared meaningful glances, the fresh soft floral notes gently merge with sandalwood and pink musk to give it warmth and support. This soft dry down to this fragrance provides the legs to steady that flying young heart and bring it home with lasting love. Crafted of pale blue glass, the bottle with playful silver hearts and a band of silver, is charming and romantic only hinting at the shimmering floral-musk perfume it contains. I simply adored this beautiful perfume with the way it touches your heart and soul with its gentle warmth. Seriously, I think it would be hard for any woman that loves floral scents not to love it also! Thanks to Jessica Simpson Fragrances and the Camuto Group, three lucky Nuts 4 Stuff readers in the United States win a 3.4 fl. oz. 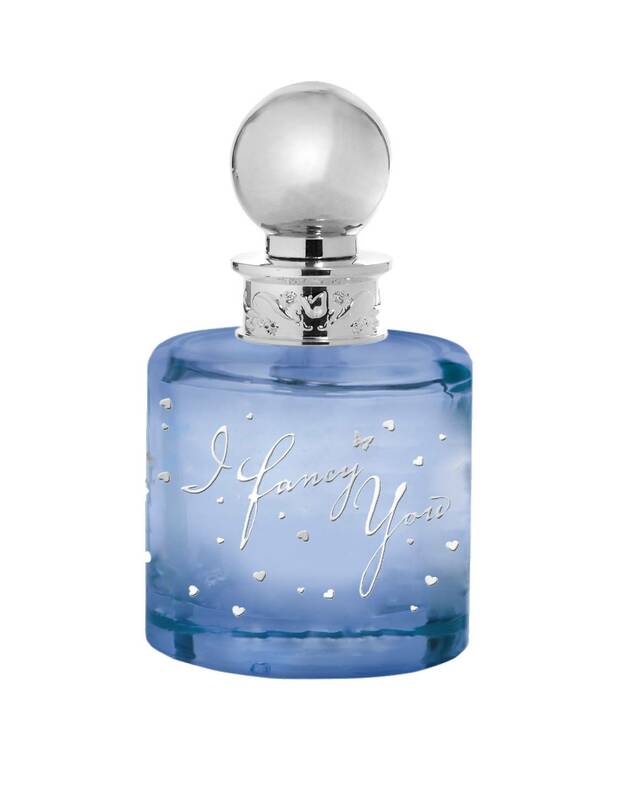 bottle of I Fancy You Eau de Parfum Spray ($59)! 2. Go to the Jessica Simpson Collection and tell me what other of her fragrances you would also love to try or something you learned from the site in another comment. This giveaway ends March 6, 2012 at 12 PM Eastern Standard Time. The winner will need to respond to my email with name and shipping address within 48-hours or another winner will be picked. gfc & I want to try "Fancy"! GFC- Stephanie Jonesfreebiel0ve @yahoo.comi like to try Fancy nights! I'd also love to try Fancy Love Body Lotion! I also entered your Rebelle 3.4 oz. Perfume by Rihanna Giveaway! I followed you! yeny flores. I visted the Jessica Simpson site and learned that she has a line of handbags! I learned that Jessica Simpson will be on Fashion Star premiering March 13th. I learned that free standard shipping is offered on orders over $100. I tweeted the requested message on Twitter at https://twitter.com/#!/likwan/status/177004059503505408.